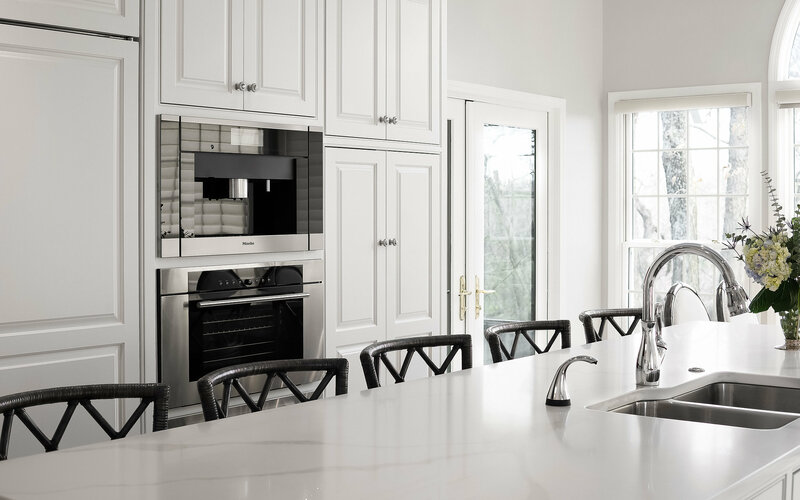 Tucked in the small round of a four-house cul-de-sac in Cedar Creek, perched over a cluster of staggeringly tall forest trees that serve as both backyard and vista, a sunlit kitchen was brought straight into modern day just in time for the home’s 30th birthday. A series of unfortunate events had plagued Jim Scovell’s attempt to initially meet with the homeowners of this 1989 home. From a dropped first call on the highway to a funeral to a message that got buried beneath a stack on a desk, luckily, these clients didn’t give up on us! And last March we finally drew out our tape measures and began plotting lines. 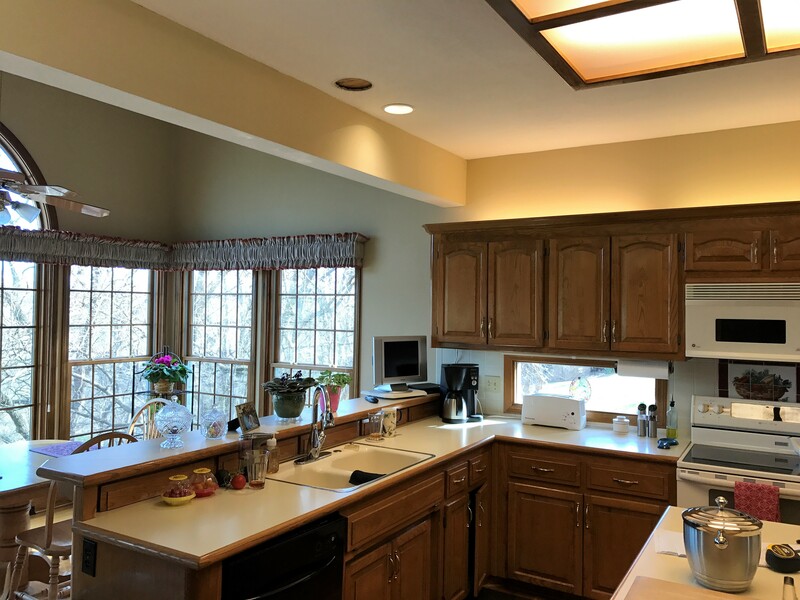 The kitchen as it was certainly didn’t scream for dire help, but its whisperings were getting louder and more persistant as more and more of its features – the fluorescent lights, the drop in sink, the laminate countertops – were being left behind in the 90s. There was no denying that an update (or overhaul!) was deserved. There were some structural implications to contend with, namely an unfavorably located beam which served to separate two distinctly different ceiling heights: close to 9 feet on the west end and nearly 12 feet high ceilings on the east. Also adding to the challenge, a wall of windows that let enormous amounts of much-appreciated light flood in inadvertently minimized our options when it came to considering new cabinet layouts. We were a bit gridlocked with only a couple possible cabinet walls, but not without hope! The homeowners had a clear vision for what they wanted to accomplish and a firm grip on exactly the style they loved. 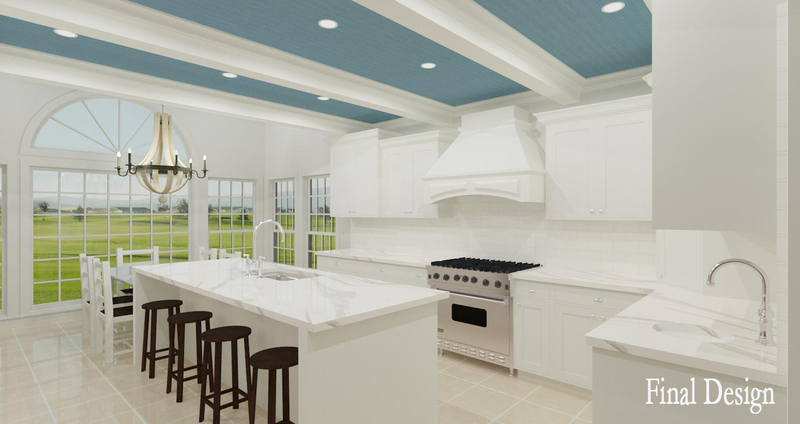 Pale blue bead board ceilings entered the conversation early. As did white cabinets and tops. 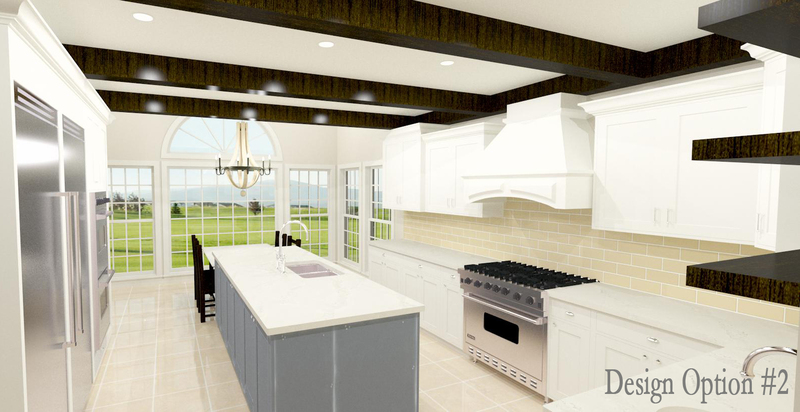 In redesigning the space, there was going to be a need to incorporate both counter seating, and with any luck, a standard height breakfast table as well. 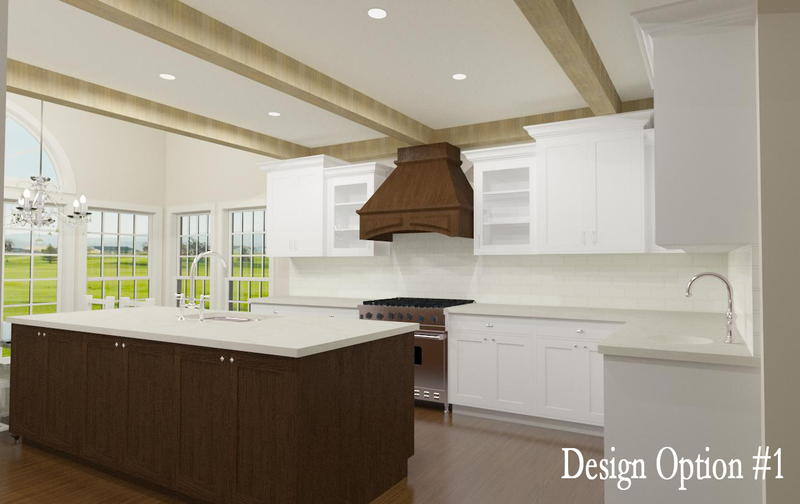 Our designer and Jim got to work and produced three concepts for the homeowners’ review. The first, a play on French Country. The second, a little brighter and slightly more coastal per the homeowners’ wishes. But it was the third that proved to be the winner. With the design finalized, the Scovell production team got to work, led by our carpenter Patrick Muller. And it wasn’t long before the real deal looked an awful lot like that computerized rendering we’d developed in the spring (save, of course, for Chief Architect’s creative liberties in situating a lush valley beyond the computer rendering’s windows…)! 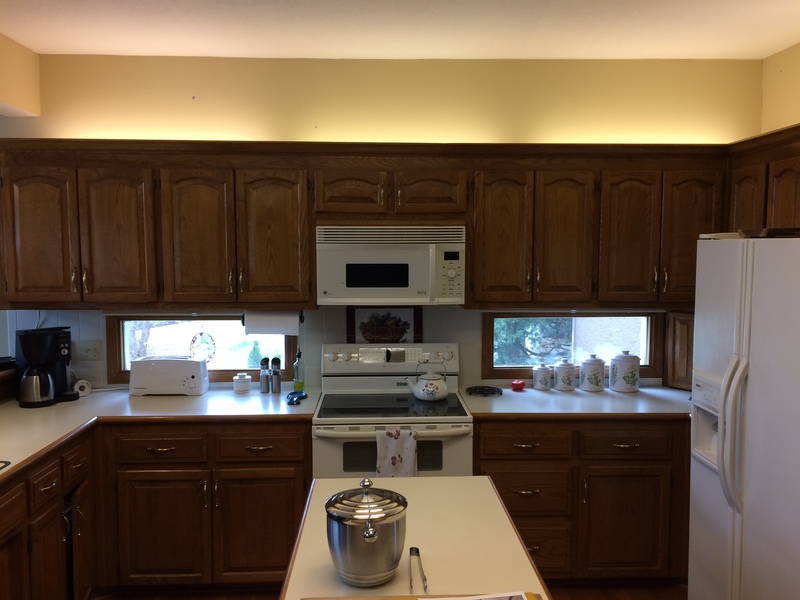 But perhaps the best part of this kitchen is what you don’t immediately see. 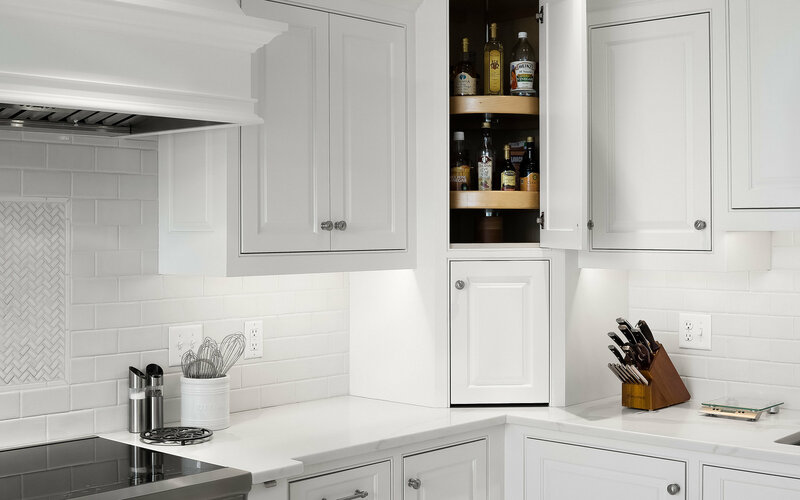 The little upgrades and fun amenities hidden behind cabinet doors and drawers. And the appliances that took cooking up one, two…maybe even three notches. Like sayonara to the days of standing like a poor sucker waiting ten minutes for water to boil! The Wolf Induction Cooktop spits bubbles in less than 4. Spices stand like soldiers in a line flanking either side of the range. And no more wasting away in line at Starbucks. Not with a Miele Built-In Coffee Machine. Leftovers? Throw ’em in the steam oven. Time to bake? Don’t break your back. 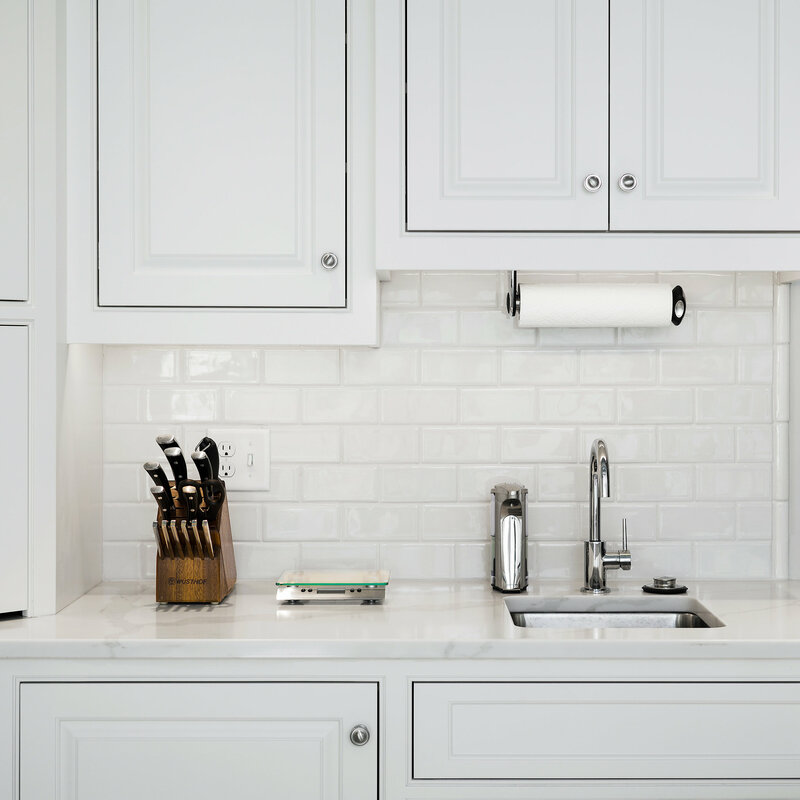 Watch the Kitchenaid Mixer glide up on a hinged arm to counter level. Lights pop on with every drawer that opens. 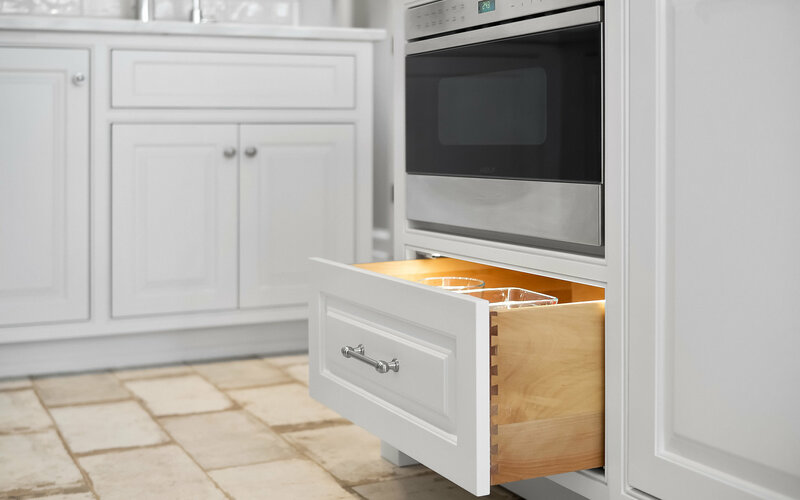 The Subzero refrigerator and freezer are concealed by cabinet panels. An oscillating corner tray in a cabinet upper. In short, all the good stuff. 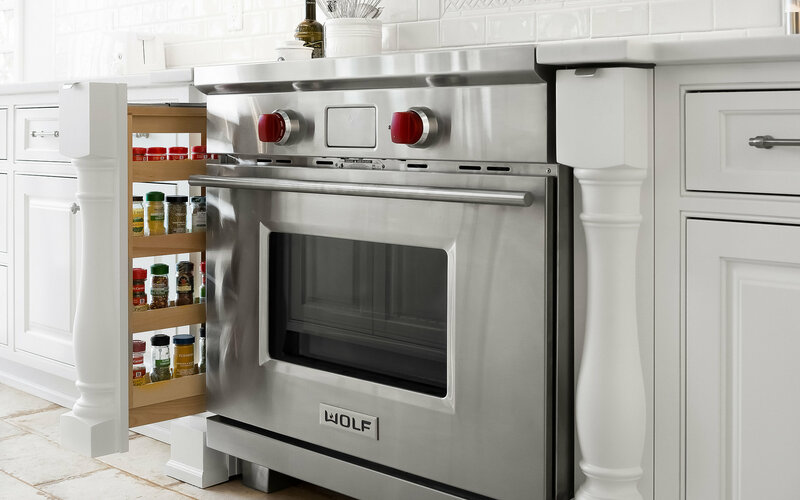 White kitchens may be abundant these days, but this one packs a lot more punch than most. 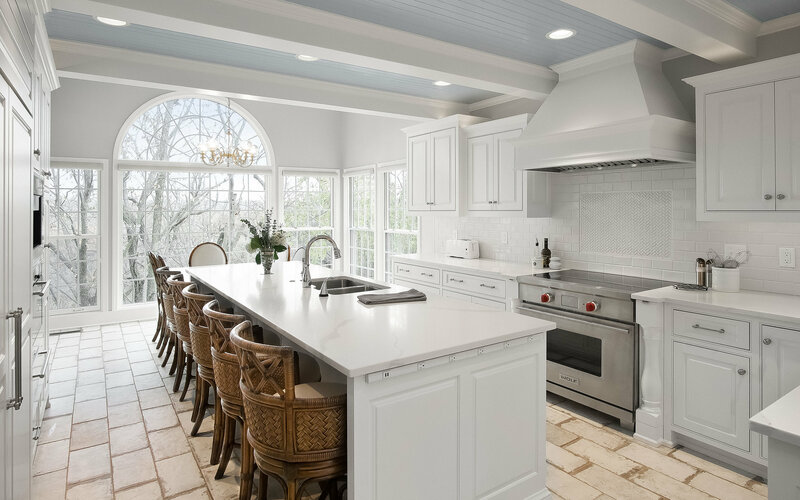 Our team was thrilled to have worked with such kind clients to revamp the once tired space in time for Thanksgiving and the homecoming of the couple’s four adult children. The nearly 30 year old Cedar Creek house is, for all intents and purposes, now 30 years young.